with September just around the corner summer is winding down and my skin and hair are in need of some serious repair. to help combat the dry, rough skin of summer i taking some serious measures to treat my skin right! 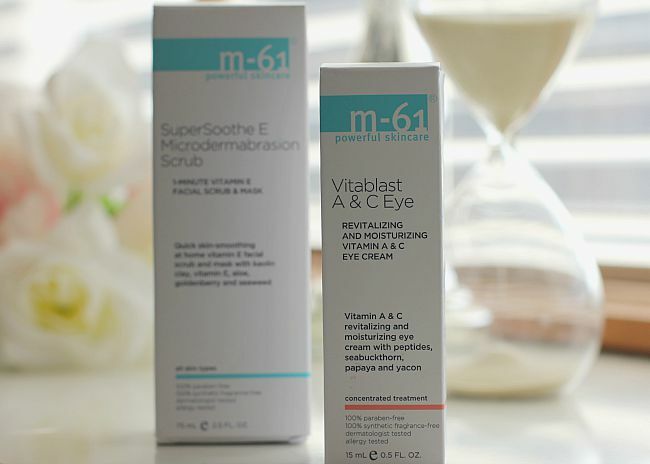 these M-61 products by Bluemercury are taking my skin to 11.
the Vitablast Eye Cream is gentle on my eyes while providing visible results. it moisturizers the eye area helping to reduce the visibility of fine lines and wrinkles (yeah, i'm 34 and those babies are popping up!). the A & C vitamins help to nourish the skin while also protecting it from environmental factors. antioxidants help to brighten the skin and there are also ingredients to help soothe and calm skin. for my sensitive eye area this is like a tall glass of water. 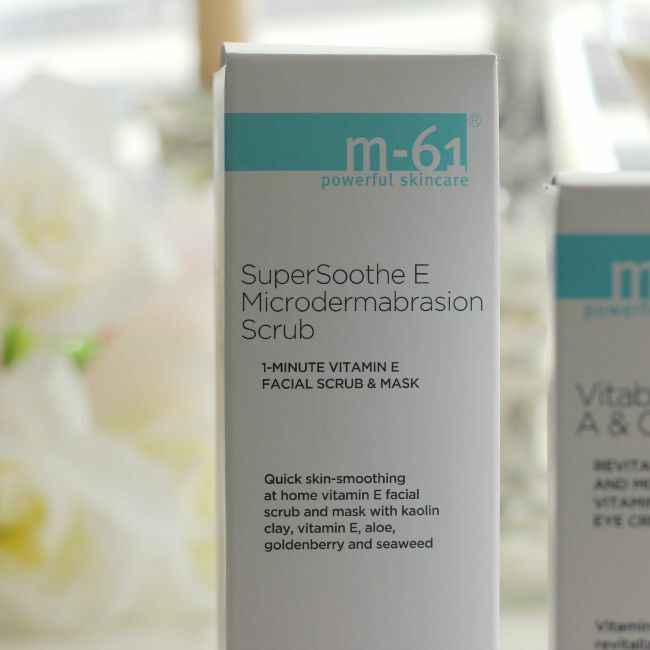 the SuperSoothe E Microdermabrasion Scrub provides the benefits of microdermabrasion without the cost. this conditioning scrub helps remove dead skin cells from the surface of your skin leaving your skin looking revitalized and refreshed. i love using this product because it leaves my skin so smooth and soft - you would never have guessed i spent a summer abusing my skin with sun, water and wind! it is a great product to use on a weekly basis to help give your skin an extra boost. using both products combined has left me all smiles this August. i love a little pampering and being able to get salon results in my own home is an added bonus. three kids makes little time for extras but thankfully i can get those 'extras' from great products.